I found this Tweet from a cyclist on southern Vancouver Island yesterday: A #RCMP told me today it was too dangerous to ride a bike on the roads and I should find another hobby. In their view going to the grocery store on a #bike is a hobby. #Police and the public need to wake up #bikes are a serious mode of transport. Wow! This officer must have missed some important reading in their copy of the Motor Vehicle Act. DriveSmart BC – What Am I Entitled To Expect As A Driver? DriveSmart BC – But I Didn’t Know! 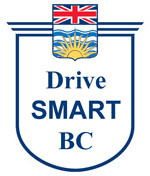 Be the first to comment on "DriveSmart BC – Taking Cyclists Seriously"